In the far corner of Tegel Airport, to the southwest (here a satellite image), lonely a plane with a special story rots: The Boeing 707 was a gift from the manufacturer to the Lufthansa and landed in 1986 by tricky preparations as the first Lufthansa aircraft in West -Berlin. Otherwise only Allied aircraft could fly through the east corridor. 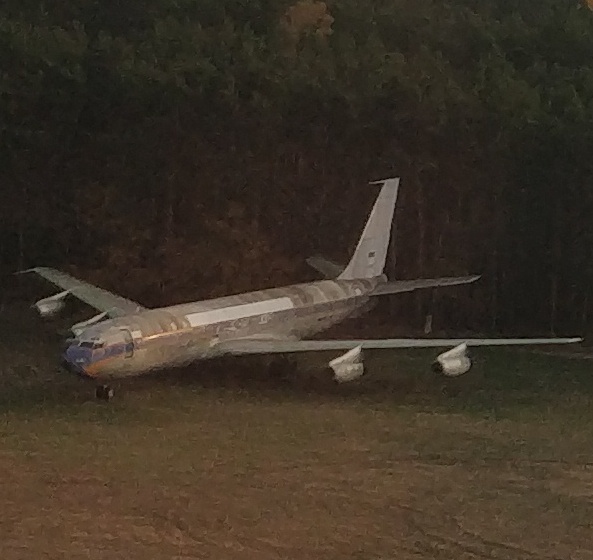 Lufthansa donated the plane to the Berlin Technikmuseum, which, however, can not do anything with it. Every now and then, the airport fire brigade on the Boeing exercises in case of emergency. What is this aircraft with large pipes at the flight deck windows? Can you help me identifying this WW1 German or Austrian airplane from my photo collection? What happened to this airplane at Lombok Airport? Which airplane is this lego model? Which models are these aircraft? What is this WWI aircraft?